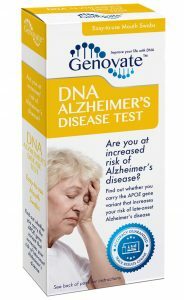 Home Health General Health Did you know DNA influences your risk of Alzheimer’s Disease? Going, going, gone! There goes your memory and that’s only the beginning. Next, you lose the ability to think and reason, then forget how to cook, read or dance. Finally you don’t remember how to do the basic things like getting dressed or taking a bath. This is the progression of Alzheimer’s disease. 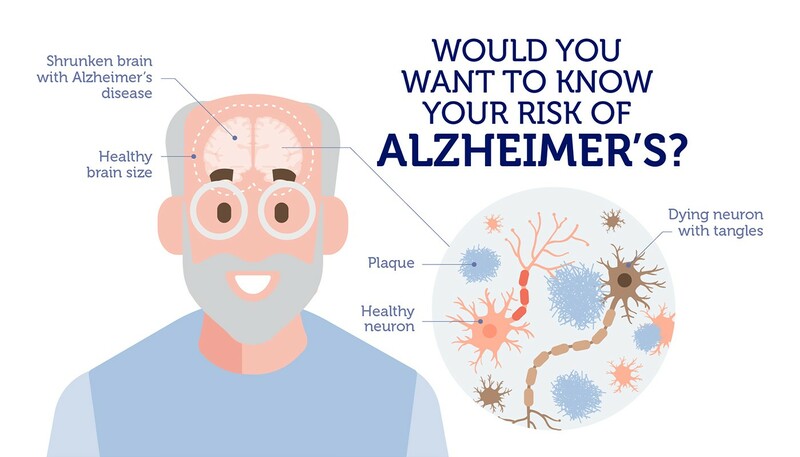 Alzheimer’s disease (AD) was named after the German physician, Alois Alzheimer, who first made the connection between memory-loss and changes in the brain. The brain of an Alzheimer’s patient is smaller and has fewer nerve cells. Abnormal structures called plaques and tangles are also present. Late-onset Alzheimer’s is the most common type of AD. It accounts for more than 90% of AD cases. Patients develop symptoms later in life, after the age of 65. This is why, as we start living longer because of better nutrition, healthcare and hygiene, the number of people affected with AD will continue to increase. 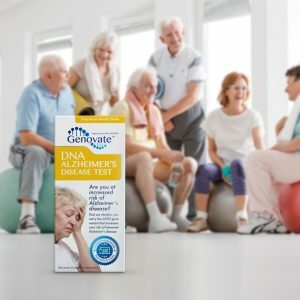 Over 46 million people around the world are living with AD or other dementias. It is predicted to reach 75 million by 2030 and 131.5 million by 2050. Variation in the APOE gene is the biggest genetic risk factor linked to late-onset AD. There are three versions (called alleles) of this gene – APOE e2, APOE e3 and APOE e4. We inherit two copies of the APOE gene, one from each parent. This means that a person can carry either two identical copies of the APOE gene (defined as homozygous) or two different APOE alleles (heterozygous). Approximately 40-65% of people with AD have at least one copy of APOE e4, compared to 20-25% of the general population. If a person has one copy of APOE e4, their risk of AD increases by 3-fold. It is even higher, at 15-fold, if two copies of APOE e4 are present. Science has made it possible to know in advance whether or not we are predisposed to AD. What will worry most people about developing AD is not going to be the memory loss or the loss of independence. It will be the burden on loved ones. If you are a believer of the saying “better the devil you know than the devil you don’t”, you might want to know your risk. Alzheimer’s does not discriminate – Ronald Regan, Norman Rockwell and Rosa Parks all had AD. If you have the e4 version of APOE and know that your chance of developing AD is higher, you can adopt simple lifestyle changes to moderate your risk. For example, you can follow the six pillars of brain-healthy lifestyle – eat right, exercise, sleep more, use your brain, manage stress and have an active social life. Most of us today would probably welcome the time to plan ahead, to help ease the burden, and to make the tough decisions involving our care while we could. There is no cure for AD. But, we now understand the disease better, have a list of preventative methods, and know how to better manage AD. Researchers are making breakthroughs every day, from developing blood tests and advanced imaging techniques for early detection, to looking for drugs that might block the formation of plaques and tangles. Several clinical trials are underway for drugs that had promising preliminary results. Scientists around the world are confident that we may soon beat AD, so we should remain hopeful. 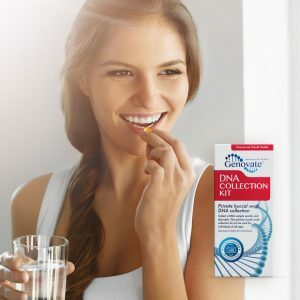 Find out if you are at increased risk of late-onset AD with the DNA Alzheimer’s Disease Test, so you can start making changes to minimize your risk. 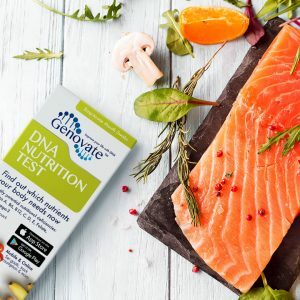 Previous articleDid you know DNA can affect your bone health? Next articleDid you know DNA affects your “good” cholesterol response to exercise?